Judith Parke, our Head of Home Learning Environment, sheds light on the activities we have planned for the year ahead to improve the home learning environment and boost the early language and literacy skills of children under five. By the time children start school, our hope is that they will have the language and communication skills they need to be able to learn and flourish. But this simply isn’t the case for far too many children in England today. Last year, almost 115,000 five-year-olds started school without the crucial language and communication skills they need to flourish. Most of these children will never recover from this early development gap and, as a result, will struggle to do well at school and in other areas of their life. Extensive research shows that the quality of the home learning environment is a key predictor of a child’s future success, enabling them to develop the language and communication skills they need to learn and develop socially and emotionally. Without ample opportunities to build these skills, children’s futures can be cut short before they’ve even started. But this doesn’t have to be the case. For the past 25 years, we’ve been working with early years professionals, schools and local communities to improve the home learning environment, whether that’s through our Talk To Your Baby campaign and conference, our early years programmes and training, providing parents with advice and activities through our Words for Life website, or through our targeted interventions and campaigns in local areas. Sitting at the heart of this work is our understanding that changing the course of a child’s life story doesn’t begin on their first day of school, but on their first day of life. And it starts with small talk. Every seemingly small interaction between a parent and a child is a great opportunity to fill that child’s world with words: bath time can be a great time to sing a song together, sharing a story at bed time can settle a child for sleep, bus journeys can provide opportunities to talk about what you see around you, and a trip to the library will enable you to choose a book to take home and share together. 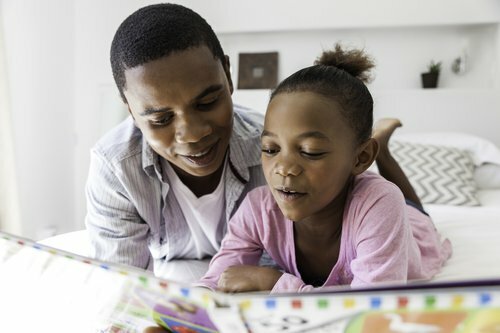 To make these small changes part of normal life, we must support the people, places and services that regularly come into contact with parents and children to promote positive messages and behaviours around adult-child communication; in particular, around the three areas that we know support a quality home learning environment: chat, play and read. This is the goal of a new campaign from the Department for Education, which aims to halve the proportion of children who finish reception year without the early literacy, language and communication skills they need to thrive by 2028. The campaign is approaching this challenge by bringing together a coalition of more than 100 businesses, charities, media and tech organisations – of which we are a founding partner. Through the coalition, we will be working with businesses on a national and a local level to transform children’s literacy lives by helping parents turn the activities they are already doing with their child every day into new opportunities to build their child’s language skills. National businesses and brands are already reaching parents and children every day through their products, services and communication channels. So we will be working with many of these businesses to help them identify the ways they can model, inspire and support positive adult-child communication through their existing business activities. This approach is only one part of the solution. In order to affect meaningful behavioral change, we also need to support parents at a local level – through the people they see, the places they go and the services they use. This approach is something we know can make a huge difference to children’s early literacy development. In 2013, we launched the National Literacy Trust Hub in Middlesbrough, bringing together local authority, business, health, education, housing, sport and cultural partners to deliver a range of bespoke programmes and awareness raising initiatives to improve early literacy levels in the town. Five-year-olds in Middlesbrough were starting school with some of the lowest communication, language and literacy skills in the country; yet five years on, the attainment gap for these children compared to the national average has halved. It took a combination of targeted programmatic activity in nurseries and schools, support from a range of local partners, and an integrated town-wide communications campaign to achieve this outcome. 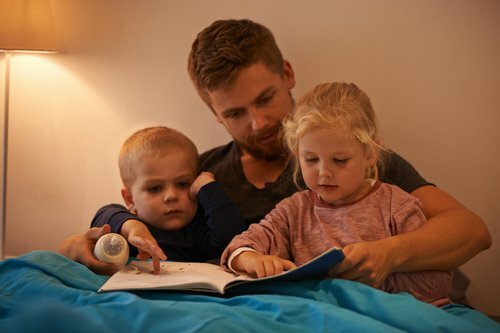 Building on our expertise and experience of forging local partnerships to move the dial on children’s literacy, we have been awarded a grant from the Department for Education to help parents in seven local areas engage with their child from birth in ways that will improve their early language skills. From April this year, we will be working with local businesses, early years settings and community services in these seven areas to improve the home learning environment by engaging directly with parents at a series of events and providing ongoing support through a range of print and online resources themed around the activities of chat, play and read. To make a meaningful difference to the early literacy lives of our children, we need to galvanise support from all corners of society and across all areas of families’ lives. By working together, we can help change children’s life stories by making the most of every small talk opportunity and give children the skills they need to communicate well and confidently. Find out more about our home learning environment work.